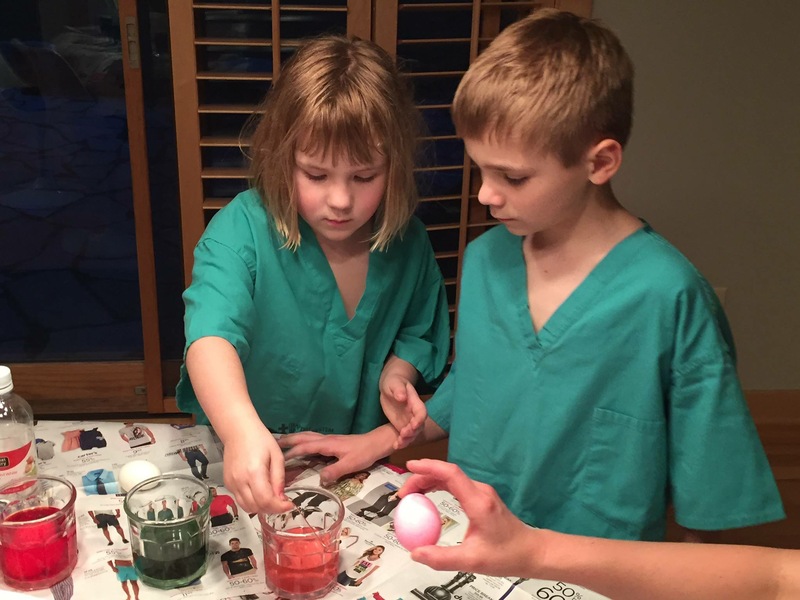 The kids had a blast dyeing Easter eggs last night. One advantage of being a physician: lots of old “art clothes” for the kids to wear. These scrubs are left over from med school. Why do I still have them? Why? 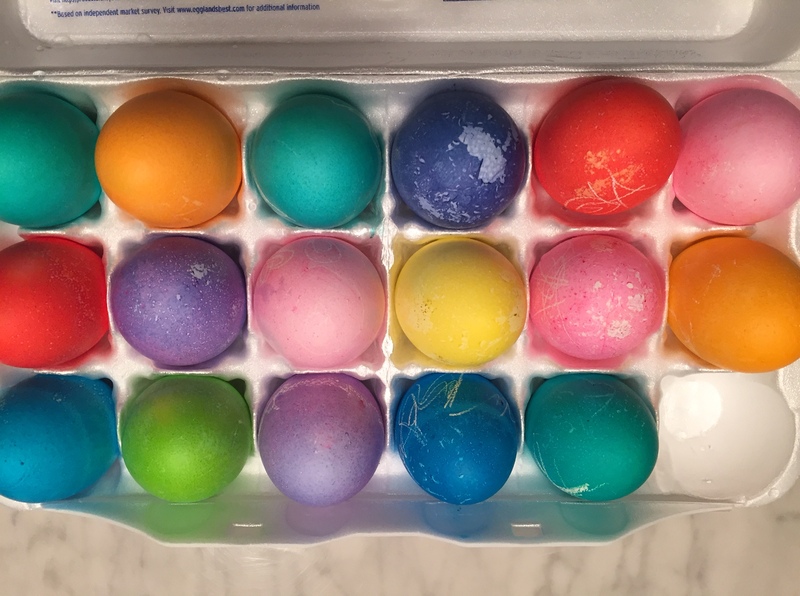 Tip for extra bright eggs: Dissolve the dye tablet in 3-4 tablespoons of vinegar, no water. Extra saturated eggs. This project required only two fistfights to complete, mostly due to haggling over who got to fish the eggs out of the dye using the bendy wire thingy that comes with the dye kit.